JF Janssen Frtisen Freestanding Unevens now available through Spieth America and By GMR. SA-JF Janssen Fritsen Stand Alone Cableless Gymnastics Unevens Bars are the ultimate space saving, cable free, portable uneven bars. 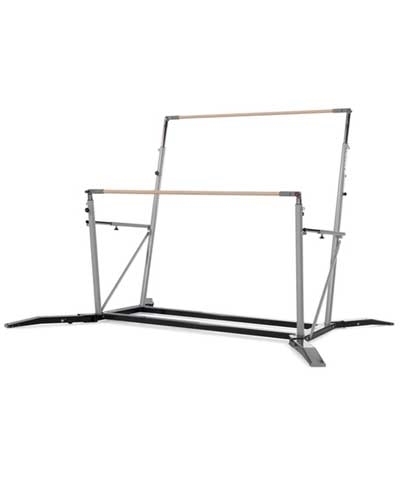 These uneven bars are stable for up to giant swings. Height adjustment is quick and easy with the aid internal upright gas springs. 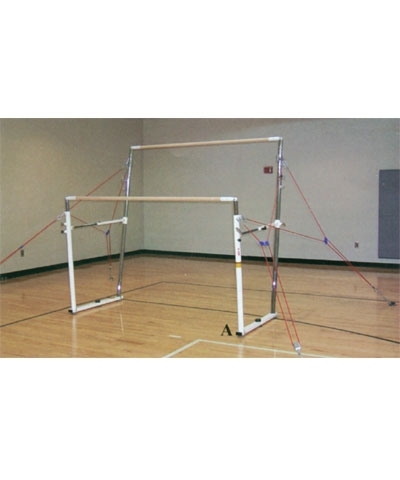 Bars adjust in width from 130cm (51") to 205cm (80.5"). The high bar adjust from 218cm (86.8") to 266cm (104.7") and the low bar adjust from 143cm (56-5/16') to 193cm (76"). 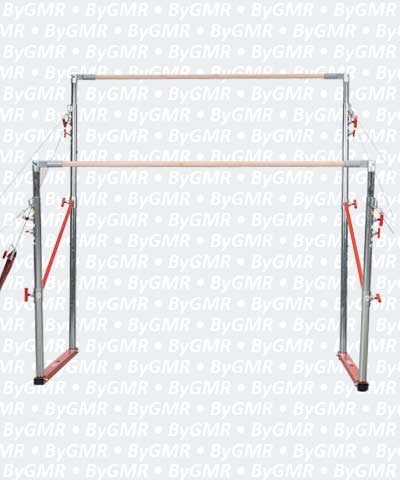 These Uneven Bars have their own built in transport system-simply flip the lever on the bases and roll them out of the way. The perfect set of bars for High Schools, YMCA's, Recreation Departments and of course the perfect space saving bars for clubs.